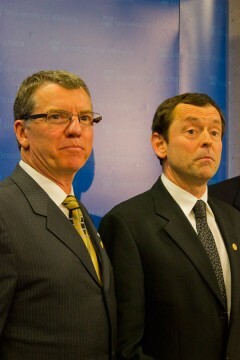 UVic President David Turpin, left, stands with UVic’s newly appointed president, Jamie Cassels. On July 1, 2013, Professor Jamie Cassels will begin his five-year term as president of UVic. “This is a remarkable time to be taking the helm of the University of Victoria,” said Cassels at a Dec. 20 press conference attended by political luminaries such as Victoria MP Murray Rankin and B.C. Minister of Advanced Education, Innovation, and Technology John Yap. While this may be his first time at the helm, Cassels is no stranger to the ship that is UVic. 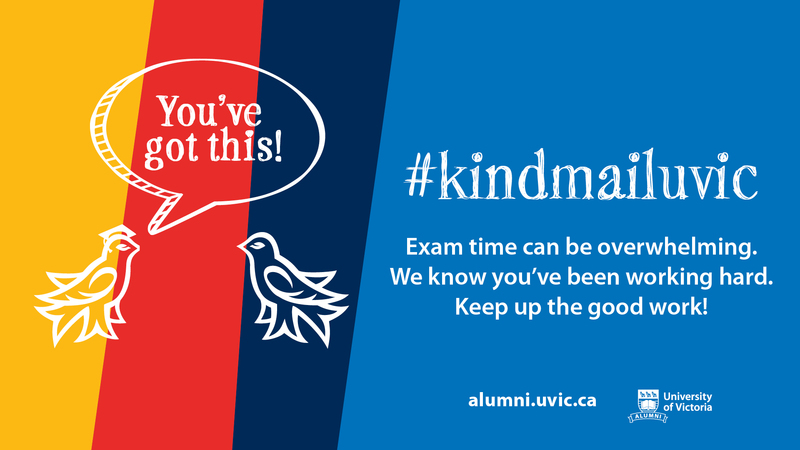 He was vice-president academic and provost (VPAC) at UVic from 2001–2010, and he has been dean and associate dean of UVic’s law department. “A lot of times people think having an external candidate is going to bring fresh ideas into the university, but I think being an internal candidate gives Jamie sort of a leg-up, I suppose, because he’s able to see … how UVic has operated already,” said UVic Students’ Society (UVSS) Director-at-Large Tribesty Nguyen in an interview with the Martlet after the press conference. Nguyen is one of two elected student representatives who sit on the BoG, the body that appointed Cassels unanimously. Cassels said building on UVic’s international reputation, encouraging research, engaging more effectively with the greater community and First Nations, and more fully meeting the expectations of students are his priorities. There were two students on the 20-member search committee that recommended Cassels for president (Emily Rogers, chair of the UVSS, and Dallas Hermanson, chair of the Graduate Students’ Sociey). As a teacher, Cassels has won numerous awards, including the 3M National Teaching Fellowship. As VPAC, he established an undergraduate research awards program that, this year, supported nearly 100 third- and fourth-year students. As the incoming president, however, Cassels acknowledged many challenges lie ahead. “Economic circumstances continue to be difficult,” he conceded. In spite of this, he stressed that “the institution of tenure, which I totally believe in,” should be maintained. Cassels’ base salary will be $350 000 annually — $23 700 less than the current president of 13 years, David Turpin, made as his base salary in 2011/2012. (Turpin made $504 114 in total that year, though, once his research leave, incentive pay, benefits and pension were factored in.) Cassels will be eligible for a 4 per cent raise, based on satisfactory performance, on July 1, 2014. When asked if attracting more international students was part of UVic’s strategy to combat tough financial times, Cassels said international enrolment is a priority largely because it is the best way to create a heterogeneous campus environment. Nguyen says diversity is a concern in the president’s office, too. All of UVic’s previous six presidents have been men, none of them visible minorities.